When you realize you need a Buda plumber to call on, will you already have one that you trust? The point of finding a plumber isn't about just calling on a different one each time. It is about developing a long term, working relationship with one that you can always call on. 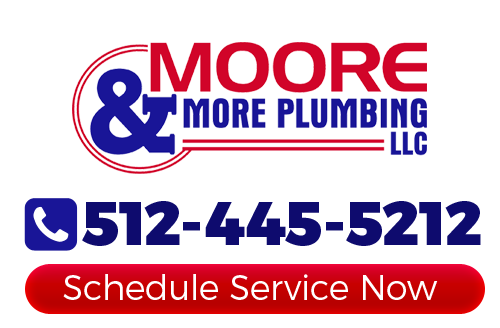 Since 1986, we here at Moore & More Plumbing have been that reliable name for so many residential and commercial clients. We take great pride in the work that we do and that shows in the results that we get. It is also how you thrive for 30 years in the same business. Also, this approach is how you earn an impeccable reputation as a local Buda plumbing company, as well as a high rate of repeat and referral business. Let us provide you with the quality work you need now and in the future. The good news is that we also make it a point to offer a wide variety of services. We are a family owned business and know all about having the household come to a complete halt because something is wrong with the plumbing. So we want to be able to be there for you to get the job done in a prompt and professional manner. We feel good knowing, no matter what type of plumbing service we take care of, from drain cleaning to water heater repairs, your home will be better for it once we leave. 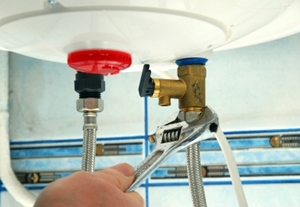 Plumbing Repairs – There are so many things that can go wrong with your system and our job is to fix this for you. The sooner you call, the sooner we can get to getting your daily routine back on track. Constant Pressure Pumps – Having well water comes with a lot of benefits. Unfortunately, one of the drawbacks is the lack of steady water pressure. Having this system installed will help you have steady water pressure with the ability to even run two water based appliances at the same time. Faucets & Toilets – If you find you need installation, repairs or replacement for any of these features, you can trust in us to get the job done. Don't attempt to make this a DIY project or you could do more harm than good. If you are ready to get started taking care of your need plumbing services in Buda, TX, give us a call right now. Here at Moore & More Plumbing we take this line of work seriously. The bottom line is that we treat you the way that we would want to be treated, if not better. If you are looking for a professional Buda plumber then please call 512-445-5212 or complete our online request form.